How can we help you- What to expect when ordering cakes online. Q: What is Mums Bake Cakes? A: Mums Bake Cakes is a cake marketplace where you can order scrumptious cakes online and get them hand-delivered by the bakers who made them. A: The first step is to visit our cake ordering page and enter the recipient's postcode in the search box. This will return all of the cakes that can be delivered to the area you selected. Then simply choose a cake, add it to your basket and checkout. Once payment has been received, your order will be sent to the baker and they’ll begin baking your cake. Q: What will the recipient receive? A: Each cake is delivered in a beautiful presentation box and includes a list of ingredients and a Mums Bake Cakes card that can be personalised with your message. Q: Will the cake look exactly as it does on the site? A: As each cake is handmade to order, we cannot guarantee that your cake will look exactly as it does in the photo. However, the baker will endeavour to match the photo as closely as possible. Q: What happens if the baker is unable to deliver an order? A: If the baker has been given the recipient's telephone number they'll call them to arrange a suitable time for delivery. If the cake is intended as a surprise gift and the baker is unable to deliver your cake, they will firstly attempt to deliver to a neighbour leaving a card with the recipient explaining which neighbour has accepted the gift. If this is not possible they will leave a "tried to deliver" card requesting that the intended recipient call Mums Bake Cakes on 0330 055 7057. The cake can obviously be only held until its use-by date and all costs relating to the cake would still be payable. Any additional assistance for delivering the cake would be welcomed by the bakers, and can be highlighted when checking out. Q: Do you offer gluten free / vegan cakes / allergy cakes? A: We certainly do! Mums Bake Cakes has one of the largest selections of gluten free and vegan cakes available online. Many of our bakers can adapt their cakes to suit just about any dietary requirements. Q: How can I ensure the items are hygienic and safe? A: Any baker wishing to sell their products on Mums Bake Cakes must have full public and products liability insurance. All cakes are delivered in hygienic boxes, and as the mileage the bakers cover is requested by them, the transportation time and distance will be minimal. Q: Are the ingredients listed? A: Due to national legislation all products sold must have ingredients detailed and any allergies highlighted. 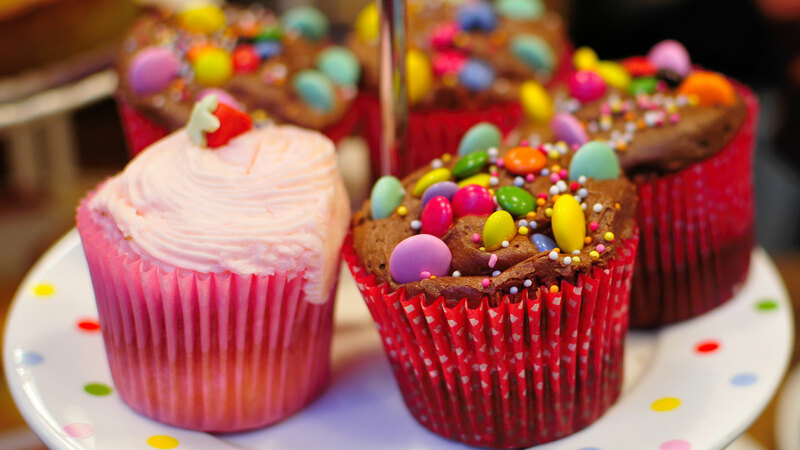 Although not all cakes on Mums Bake Cakes display the full list of ingredients, most "normal" ingredients are listed, along with any allergy-related information. As the full list of ingredients is not displayed for every cake on the site, we have supplied all bakers with calling cards which list the ingredients on them. Q: How do I get a bespoke cake made to my design? A: Some bakers accept uploaded photos and logos which can be printed onto the cake. If this feature is available for a particular cake, a "Photo Upload" graphic will be displayed on the product listing. Please feel free to contact Mums Bake Cakes directly should you have a requirement that currently cannot be fulfilled, as we have many bakers awaiting clearance and we may have one available for the date you need. Q: Do you deliver on Sundays? A: Many of the bakers do deliver on Sundays, but weekends are a very busy time and therefore we would suggest you book any weekend deliveries with as much notice as possible. Q: How much notice do I need to give? A: All orders must be placed a minimum of two days ahead in order to give the baker enough time to bake your cake. The sooner you order, the more time the baker has to prepare. Some items will require more time to create, and this will be displayed on the product listing. Should you require your cake to be delivered sooner, please contact Mums Bake Cakes and we'll endeavour to contact the baker and discuss your preferred delivery date. A: The site shows the actual price you'll pay. There are no additional charges for delivery unless the baker has attempted to deliver the cake a second time and has been unable to do so. Q: How can I leave feedback on the cake? A: Our bakers welcome feedback on their cakes; to let the baker know what you thought about their product and service, please leave feedback on our Facebook Page or on our site at www.mumsbakecakes.co.uk/feedback (you will need your order number which is on the ingredients card you were given). Q: What do you need to know for a bespoke cake? A member of our team will then get a quote across to you as soon as possible from a baker local to you. A: Bakers are paid on the evening of the delivery; once a baker has confirmed the cake has been delivered by changing the status of the order to "Completed" in their portal, the payment is processed. Q: Where do you advertise? A: We're extremely active on social media (don't forget to check out our Facebook, Twitter, Instagram and Pinterest pages) and have been featured in many national and international publications. The popularity and success of our service has to led to a huge number of personal recommendations, and Mums Bake Cakes is now the largest cake marketplace in the UK. We're improving our offering and website all the time, and we're also investing heavily in a number of online and offline marketing channels to give our bakers the exposure their cakes deserve. Q: What if I take longer than two days to make cakes? A: We understand that some cakes take a little more time to perfect, so all you have to do is ensure that this is stated in the product description and we'll take care of the rest. Q: How do I let customers know that I make bespoke cakes? A: The best way to let potential customers know that you create bespoke cakes to order is to mention it in your shop description. Each baker has their own shop page on Mums Bake Cakes, which enables them to describe their services in detail. You can also allow customers to upload custom designs along with their cake order if you wish. Q: What cakes can I show on the site? A: We have bakers on the site gaining orders for anything from small bags of chocolates to victoria sponge and celebration cakes to wedding cakes. Our customers are looking for a quick and easy way to order a tasty treat for friends, family and work colleagues, and the most comprehensive selections are gaining the most cakes sales. Customers buy what they see; they are looking for a one-click solution, so by showing a variety of cakes, and explaining that they are available in a variety of flavours, you will maximise your cake sales. Q: Do I have to use your cake boxes? A: You will use your own cake boxes for delivery. Q: Can I include my business card? A: We do encourage you to use your own business card when delivering the cakes, together with our ingredients card. As the customer is local to you and has experienced your products and service, there's a good chance you’ll get repeat business. And we hope they enjoyed the Mums Bake Cakes experience so much they'll want to use our service the next time they want a cake delivered to another part of the country. Q: What do I do with the voucher cards supplied? A: The voucher cards supplied will hopefully entice customers to use the Mums Bake Cakes service again and treat a family member, friend or work colleague to a lovely cake. The discount applied to the future order does not affect any payment to you. This is part of the Mums Bake Cakes marketing budget and will not adversely affect bakers financially in any way. Q: How can I get 5 stars for my cakes on the site? A: Customer feedback is obtained and aggregated from all available methods. However, to encourage customers to leave feedback, many bakers highlight the feedback option on their ingredients cards and ask the customer to leave a review once they have eaten their cake. Each feedback submitted requires the associated order number to be valid. Once a baker has received three feedbacks they will start to appear on the site.